At 1000 Jefferson, you'll find more than just a place to live. We are an impressive luxury apartment community offering exceptional services and sophisticated interior design. Our contemporary lobbies, designed in fine Italian marble, mark where the heart of Hoboken becomes your home. 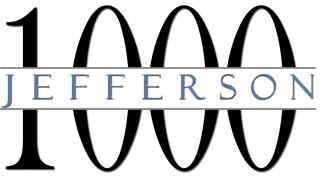 1000 Jefferson offers spacious one, two and three bedroom apartment homes that will provide you the perfect space in which to live your lifestyle. In addition to our resort-style pool complete with relaxing fountains, our community offers a wonderful rooftop where you can drink in the dramatic Manhattan skyline views. 1000 Jefferson is also proud to offer our 24-hour fitness club with state-of-the-art equipment, a Wi-Fi-enabled resident lounge for events and entertaining, as well as private garage parking.